It is critical that there is no delay in the early years in identifying the need for, and making any necessary special educational provision. Delay can give rise to loss of self-esteem, frustration and subsequent learning and behaviour difficulties. Early action is crucial to future progress and improved outcomes that help a child to prepare for adult life. The Early Years Foundation Stage (EYFS) is the statutory framework for children aged 0 to 5 years. All early years’ providers must follow the learning development, safeguarding and welfare requirements of the EYFS. These arrangements must include a clear approach to identifying and responding to SEND. All providers of early years education (maintained, private, voluntary and independent sectors that a local authority funds) must have regard to the SEN Code of Practice. Providers can find useful resources to support them in their work with children with SEND on the IslingtonCS Early Years SEND pages. Council and health funded early childhood services have been brought together across our children’s centres to work more closely on planning, coordinating and delivering services, improving consistency across the borough and reducing duplication. 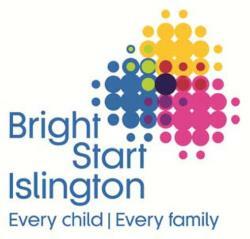 The integrated service is called Bright Start Islington. Parents’ early observations of their child are crucial to early identification. Children with more complex developmental and sensory needs may be identified at birth. Health assessments, e.g. hearing screening, enable very early identification of a range of medical and physical difficulties. Health services, including pediatricians, the family’s GP, and health visitors, should work with the family, support them to understand their child’s needs and help them to access early support. Where a health body believe that a child has, or probably has, SEND they must inform the child’s parents and bring the child to the attention of the appropriate LA. The health body must also give the parents the opportunity to discuss their opinion and let them know about any organisations that are likely to be able to provide advice or assistance. This includes any educational advice, guidance and any intervention to be put in place at an early point and before the child starts school. This support can take a number of forms, including specialist support from an Educational Psychologist or specialist teacher, such as a teacher of the deaf or vision impaired, who may visit families at home to support with early learning programmes and approaches. The majority of 3 and 4 year olds, in Islington and many younger children, attend some form of early years provision. From September 2017, some working families will be eligible for up to 30 hours a week of free childcare for their 3 and 4 year olds. Some children may also qualify for free early education from the age of 2. The EYFS framework sets the standards that all registered early years’ providers, and schools offering early years provision, must meet. This includes a clear approach to assessing and providing for children with SEND. When a child is aged between two and three, early years’ practitioners must review progress and provide parents with a short written summary of their child’s development, focusing in particular on communication and language, physical development and personal, social and emotional development. This progress check must identify the child’s strengths and any areas where the child’s progress is slower than expected. If there are significant emerging concerns (or identified SEND), practitioners should develop a targeted plan to support the child. This is an integrated review that also covers health development. The Early Years Foundation Stage Profile at age 5 provides parents, practitioners and teachers with a full picture of a child’s knowledge, understanding and abilities. A profile is usually completed for children in the final term of the year in which they turn five. It is particularly helpful for children with SEND and should inform plans for future learning. In addition to the formal checks, early years practitioners working with children must monitor and review the progress and development of all children throughout the early years. Where a child appears to be behind expected levels, practitioners will consider all the information about the child’s learning and development from within and beyond the setting, using the Early Help framework and tools, where appropriate. A delay in learning and development in the early years may or may not indicate that a child has SEND. Identifying and assessing SEND for young children whose first language is not English requires particular care. Early years practitioners will look carefully at all aspects of a child’s learning and development to establish whether any delay is related to learning English as an additional language or if it arises from SEND. Difficulties related solely to learning English as an additional language are not SEND. Where a child has a significantly greater difficulty in learning than their peers, or a disability that prevents or hinders them from making use of the facilities in the setting and requires special educational provision, the setting will make that provision. In all cases, early identification and intervention can significantly reduce the need for more-costly interventions at a later stage. Special education provision will be matched to the child’s identified SEND. Support should be family centred and must consider the individual family’s needs and the best ways to support them. Where an early years provider makes special educational provision for a child with SEND they must inform the parents and should adopt a graduated approach with four stages of action: Assess, Plan, Do, Review. All early years’ providers will also take steps to ensure that children with medical conditions get the support required to meet those needs. This is also set out in the EYFS framework. Find details of the support available from the Early Years SENCo Team. A maintained nursery school must ensure that there is a qualified teacher designated as the Special Needs Coordinator (SENCo). The EYFS framework requires other early years providers to have arrangements in place for meeting children’s SEND. Childminders are encouraged to identify a person to act as SENCO. To fulfill their role in identifying and planning for children with SEND, LAs should ensure sufficient expertise and experience amongst local early years providers. Islington uses Area SENCOs to provide advice and guidance to early years’ providers on the development of inclusive early learning environments. The Area SENCOs help make the links between education, health and social care to ensure timely provision, as well as supporting transition to compulsory schooling. The Islington Early Years Area SENCO Team (EYAST) work with parents, carers, staff and other professionals in education, health and social care. The team aim to support settings so that all children can access the EYFS curriculum to their full potential and make progress from their starting point.